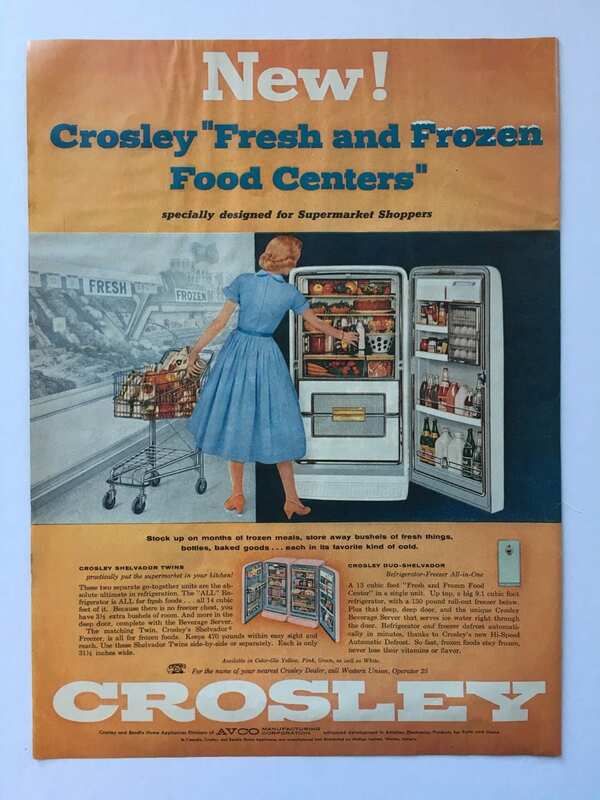 This 1956 ad for the Crosley Shelvador refrigerator & freezer is really cool (pun intended!) Great color and nice ad design for this classic refrigerator. Whether you've owned a Crosley or not, this ad makes a nice piece of wall decor. The paper is in fairly good shape for it's age. It shows the usual slight yellowing and minor dings on the edge, and there is some slight waviness on the top. The colors look great in-person! It makes a fun piece of wall decor, or use it for your collage or scrapbook art!